How does PayPal work with Pandle? 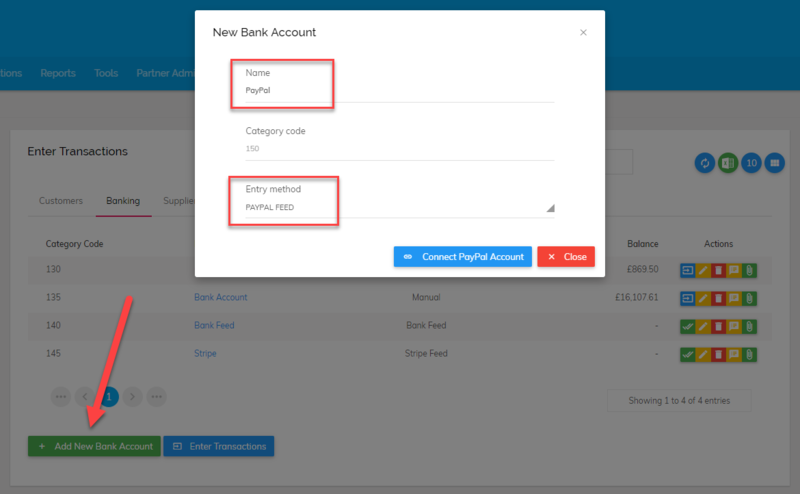 We have developed PayPal feeds for Pandle which means you can add your PayPal account to Pandle in the same way that you add a bank account. Once connected, the transactions will automatically come into Pandle ready for you to categorise. You will then be prompted to enter a bank account name. If you call the account PayPal (or a name that contains PayPal) then the PayPal feed will be automatically selected for your entry method. You can then click 'Connect PayPal Account' and you will be navigated to the PayPal website to enter your credentials. The next step is to choose the date you want to start transactions coming into Pandle. 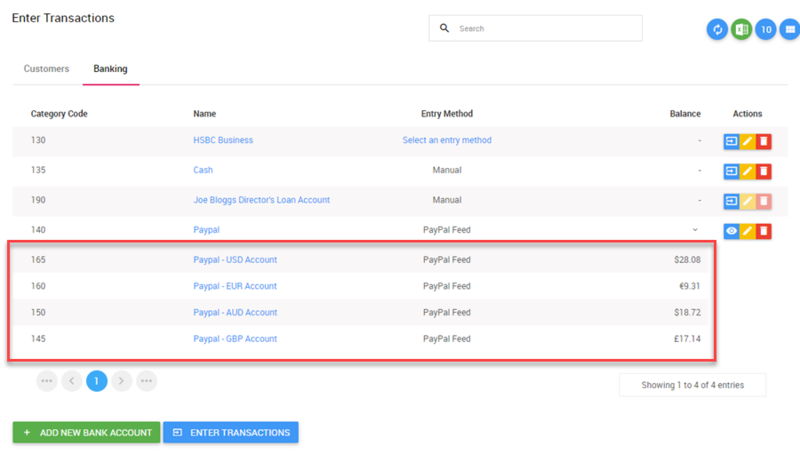 If you have been using an existing PayPal bank account in Pandle (perhaps you entered transactions manually) then you can enter the start date as the day after the latest transaction in that account. Simply click the green check and confirm icon to categorise your transactions. This works in the same way as categorising bank transactions via file import or bank feeds. What about multiple currencies in PayPal? Transfers between sub-accounts will automatically be categorised in Pandle so that you don't even need to think about them (and so that duplicates due to user error do not occur). Can I accept PayPal payments through my invoicing in Pandle? This has not been developed yet but we are working on this and hope to have it released shortly. What if I already had a PayPal account in Pandle? 2. Transfer the balance from the old PayPal account to the new one. For example, if you had £100 in the old account you can process a Money Out transaction for £100 and categorise to the new PayPal account.